Micro-fine needle pricks improve the appearance of the skin. Especially effective in combination with Radio Frequency. “My insider tip for a radiant, healthy skin is the combination of Hyaluron skin booster and Dermaroller,” says Dr. Sonja Sattler, Head of Bellari Frankfurt. “With skin boost, the particularly low-viscosity hyaluronic acid is injected over a large area into the uppermost layer of the skin. This creates a glow effect and a special radiance to the face. Wrinkles are eliminated and, due to the water-binding property of Hyaluronic Acid, the skin stays moisturised and padded from the inside for a longer period of time. 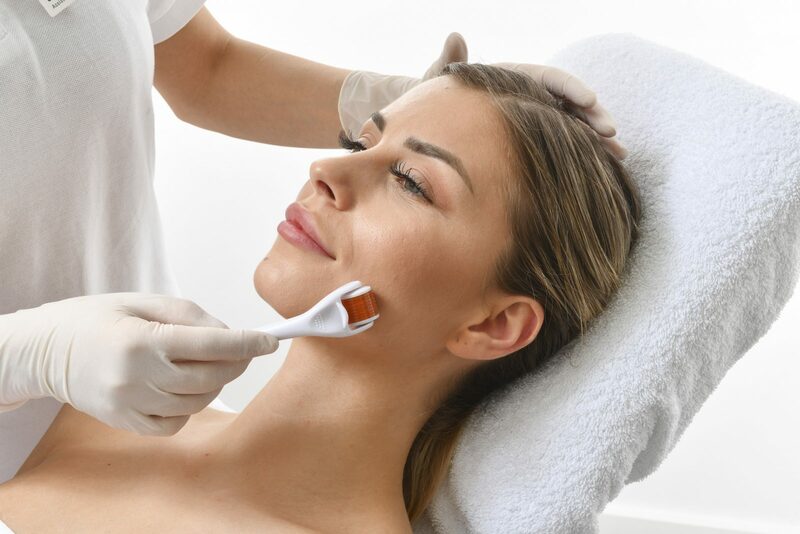 The Dermaroller ensures new collagen formation through the desired micro-injuries on the skin surface.” As a result, the entire skin appears finer, smaller-pored and rejuvenated. And, last but not least, scars of all kinds can be corrected as well. A Dermaroller or Dermapen is a handy roller with microfine needles which it’s why it’s also known as Microneedling. The needle length varies from 0.5 to 1.5 millimetres, depending on the requirements and body region. The microfine punctures simulate injuries to the skin without really damaging the tissue and the cells around the puncture canal are stimulated to produce more collagen. What is the exact treatment? First of all, the area to be treated is thoroughly cleansed and an anaesthetic cream applied. 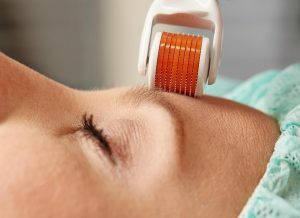 This requires 20 – 30 minutes to take effect after which the practitioner rolls the Dermaroller over the face for about 20 minutes. If necessary, individual areas can be treated several times and more intensively. A disposable sterile device is used for each patient. Dermarollers with shorter needles are also available for use at home. However, one should first be shown how to use them by a professional before attempting the procedure oneself. In cases of acne, it is best to leave it alone. Is one presentable after the treatment? Absolutely. The skin is slightly reddened at first, but this can be easily concealed with make-up. The redness disappears completely after 3-4 days and what remains is an improved skin structure. The treatment can be repeated at any time. What is the difference between this and Needling plus Radiofrequency? The combination of multipolar Radio Frequency technology (RF) and Microneedling leads to a fractional treatment of the skin. This makes it possible to tackle several skin problems simultaneously. The procedure is particularly suitable as an anti-aging measure since it counteracts the signs of skin aging: Wrinkles and loss of elasticity or sagging skin around the chin. It is also effective where there are pigment disorders, enlarged pores and uneven skin structures caused by acne scars and rosacea. What does procedure look like? An anaesthetic cream is applied 30 minutes before the treatment to ensure that the patient feels no pain. The treatment head of the Radio Frequency device, which is equipped with fine needles that stimulate skin renewal, is then applied to the face. When used on the skin, these needles cause superficial microfine injuries that are not visible after the treatment while, at the same time, the multipolar radiofrequency energy circulates in the deeper layers. This heats the tissue and causes the formation of new collagen. Depending on the problem, a choice is made between two attachments, either with or without needles. In Rosacea patients, for example, Microneedling is not used. Only Radio Frequency is applied to avoid too much skin irritation. A treatment lasts about half an hour. The greatest possible effect can be achieved with four sessions at maximum intervals of four weeks. However, the full effect does not occur until two to six months after completion of the series of treatments. Possible redness in the first hours after the treatment can be easily covered with make-up. Otherwise you can go about your everyday life without any restrictions. Having said that, however, one should never underestimate the importance of sufficient UV protection for the skin.